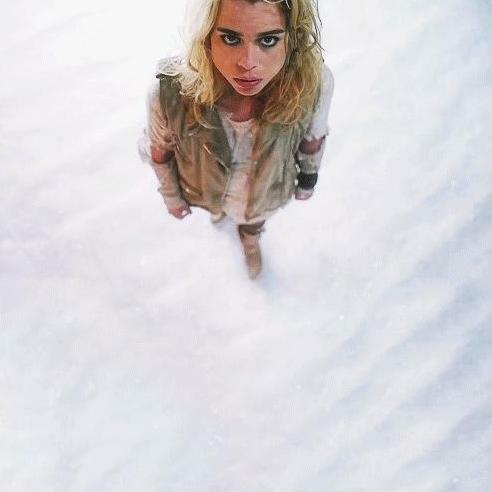 Bad Wolf / The Moment. . Wallpaper and background images in the The Doctor and Rose club tagged: photo bad wolf the moment billie piper rose tyler the day of the doctor. This The Doctor and Rose fan art contains snowbank, snow bank, tobogganing, igloo, and iglu. There might also be ski resort and toboggan.